The Cornwood Parish OPC web site has been set up to assist those involved in genealogical research to gather data for family members who may have resided in the area. The information is limited to Cornwood Parish. 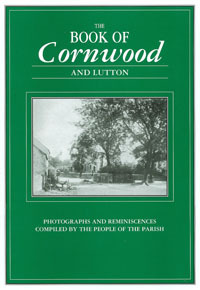 Information about the ancient Parish of Cornwood is given in the section Cornwood Parish where a set of notes published in 1918 by John Duke Pode and Cyril Augustin Pode has been reproduced. Information on other parts of Devon County, and other parts of the United Kingdom, are available on the GENUKI web site. This noncommercial site is a "virtual reference library" of genealogical information and should be the first stop, as it provides instructions and basic guidance for researchers and contains important links to a multitude of data sources. OPC efforts are coordinated and run under the auspices of GENUKI Devon Online Parish Clerk Project. For a list of other Devon parishes covered by this project, researches are directed to the GENUKI link. Other important information about Cornwood may be found at the GENUKI Devon/Cornwood site and on various web sites that are summarized here in the LINKS section.